After the Easter Island ordeal, Arcadia and Mario ferried everyone back to Tribulation Island, stopping in Old Kansas City first to retrieve Aura. Mateo caught up with Leona, and Darko and Lincoln were free to speak with each other, but none of the others were in the right emotional state to talk. They had been there so long that everyone knew their responsibilities, so they luckily didn’t even have to open their mouths to coordinate gathering firewood, or tending to the fish tarp. Things were awkward between Horace and Paige, but they decided to silently fill their time with rebuilding the privacy hut. 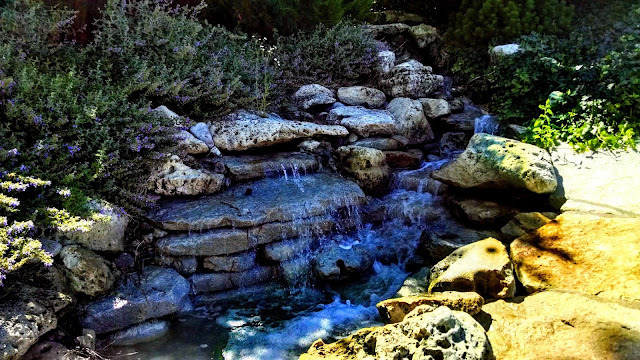 By the time Mateo and Leona returned to the timestream the following year, it was complete, along with a few additions, like a particularly beautiful waterfall. Rather, they were as normal as they could be in this corrupted reality. Evidently, a past version of Serkan was brought forward in time to help Horace get back on track. It apparently helped immensely, because Horace’s relationship with his daughter was stronger than ever. It seemed as though everyone was dealing with their situation pretty well. And it really was everyone. From what Mateo could tell, no one was missing this time. “What might that be?” she asked. “That’s not exactly what happened,” Arcadia said after appearing behind them. “She was born late enough to be virtually immortal,” Mateo argued. “That’s fascinating,” Aura couldn’t help but say. “Unlike most expiations, this one will last for an entire year,” Arcadia continued. “You are being asked to go back to school. You will return to Earth and audit a special year-long program designed to train Health Translators in this aspect of their positions. You won’t be learning any medicine; instead you’ll be learning how to communicate with patients. Though you will do this all from another dimension, which means the facilitators and other students won’t be able to see you, you will be required to take and pass the periodic evaluations. Obviously, Mateo and Leona won’t be able to do this with you. Darko raised his hand and pulled away from the group. “I better not do this one,” he said. “I’m not particularly smart, and I’m certainly not particularly kind.” Awkwardly enough, no one argued with him on his self-assessment. They packed their belongings, and said goodbye to Mateo, Leona, and Darko. Then they left for school. The three disqualified didn’t do anything interesting the rest of the day. It was only near midnight that they realized Darko would have to spend a whole year alone on the island. They should have thought through this more.